The hell it was. I would never be the same person without this year. By trial and error (field trips and numerous interview exploratory missions) I have found an industry I want to work in, tech, and it was a well-thought-of (and rightly-felt) decision. I also got a job in it. My company has sponsored my EU blue card. And I have finally settled in Paris, even though my way back was not exactly linear. But let’s put this emotional thinking to some kind of a system. Most people who invest 100k in a year do it for a reason. 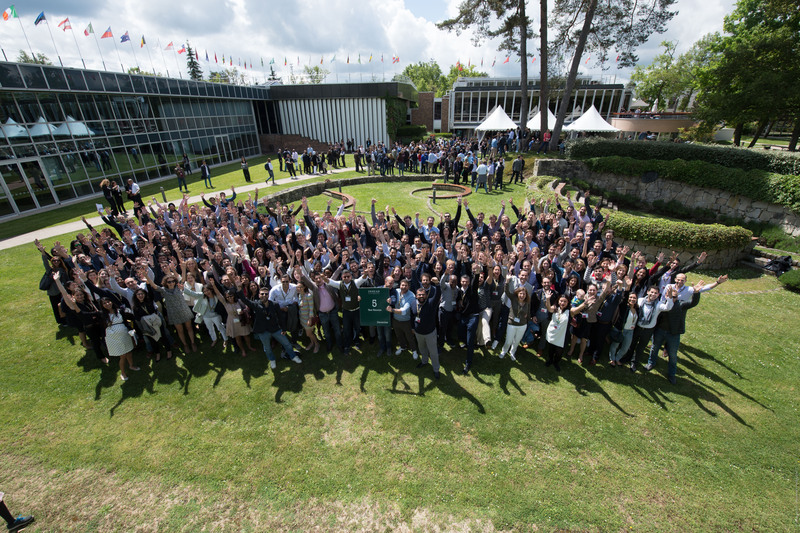 Most common reasons at INSEAD are usually two from the following: 1) changing what you do; 2) changing where you live; 3) ramping up to start your own business. (I am not talking now about parties, weekend travels, studying between Fontainebleau and Singapore and wearing shorts and flip flops to classes). It is interesting, because the first things you learn about any MBA school it the graduate salary and, admittedly afterwards, the faculty. 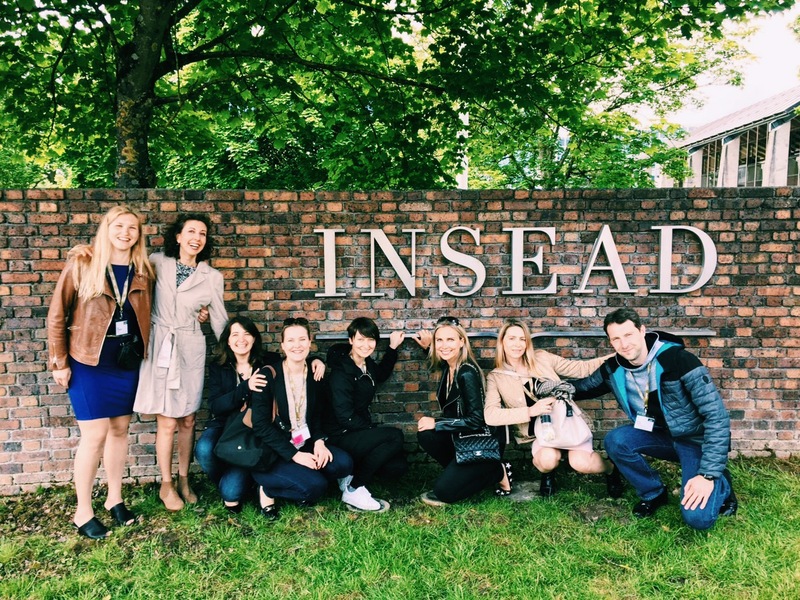 INSEAD does have a great faculty, and that would probably be true for the others schools in the Financial Times top MBA rankings. Some professors are better than the others, some have the style that respond to you, some don’t you, but you do get a very solid knowledge base from this year. But then, that’s not the only reason you are doing it, right? If knowledge is what you are primarily after, MBA is not necessarily the best choice for you. You can learn a lot from a good Master’s programme, and unless you are going to MBA from the top 10 (ok, maybe 15) schools, that’s exactly what you should do. In fact, is it much better to do a top ranked Master’s than an MBA from the school no one has ever heard of. And in most countries (at least, in most EU countries) it will cost you a fraction of the MBA cost. Now, about that salary increase. Yes, the salary increase is a number taken from a bunch of salaries where bankers and consultants account for a large part. Yes, it is an average and averages don’t exist in the real life. And yet, salary increase is real. It was real in my case – and I am comparing against nine years of working in corporate trade (and trading), four of them running a company I co-founded (see, my Facebook post was not all that dramatic after all). I will not compare INSEAD to other schools (enough to say that wanna-be bankers are not the main profile here, many of the graduates are going for their dream of launching a start up, and yet INSEAD is ranked #1 – you do the math). So yes, you do get a good ROI. And yet, MBA is not just about the salary increase. If that’s your main goal, I would think there are other ways to get there (and you don’t get to pay that opportunity cost of a career-on-pause year, remember?). For example, if you are already in consulting, doing an MBA will not necessarily take you from analyst to Engagement Manager. In fact, pausing for MBA can shave a year off your career track – not to mention that it might take you sideways, too (it probably will. You see die-hard consultants going for startups and bankers giving up their beloved long hours for a social cause). So again, if your goal is a promotion within your company or, at least, within your field of work, think of alternative ways to get there. Become an expert in a hot topic, be a speaker at the industry events, blog, network, do voluntary work that will help you promote your projects – and your brand. When do you do an MBA then? When you want to live your dream. And, often, when you want to understand what this dream really is. That was the case for me as well. Closing the company we had with Vicky draw a line under nine years of being in the industry where I got completely at random, by chance. I was eighteen when I started working in trading, and by then I was just happy to get into the field, with no connections and no special superpower except for speaking English in Russia of 2000s. It was a fun ride: I learnt a lot, made some money, and, most of all, got a chance to travel and live in so many countries. That nine years taught me that a) I love to work and b) to be successful and to actually enjoy 10/12h working days I need to feel passionate about what I do. Now I wanted to find a job that would allow me to do that. That was my main goal of going for MBA: to understand which jobs/ industries are out there, to chose the one that would excite me for the other decade. And to get the job in it, of course. And that’s what MBA is truly great in: it teaches you to dream, to believe and to go after your dream. You spend a year, overwhelmingly feeling that you can do anything you put your mind to. You are inspired every day, and you ultimately are trained to think that you can do anything you put your mind to. MBA gives you wings. What it also gives you is an unparalleled network of people to fly with. By 30, you might feel yourself like an odd ball with everyone around thinking family, kids, house mortgage, and you talking mainly business ideas and successful mindset studies. Even if you already have family, kids and house mortgage (and are happy with the rate), you want your world to be something more than that. And then you meet people, literally hundreds of people, who also want to talk business ideas and successful mindset studies (and also financial models, marketing campaigns, innovation in everything), and you celebrate this army of odd balls, you embrace them. With a few dear exceptions, most of my friends today are a product of an MBA programme. Not every one of them is my graduation year, many are not only even from INSEAD, but these are the people who understand me, who bounce ideas on and off, who share their dreams with me and support me in living mine. My co-pilots. One of the mandatory parts of INSEAD curriculum is Organizational Behaviour, OB. You study why people do certain things and feel certain way, and how to get the pendulum move where you want it to be. At INSEAD, it is the last thing you think about (at least, that was the last thing I was thinking about, after the provocative marketing campaigns I was studying to entertain my creative thinking and after the advanced financial modelling I was doing to challenge myself). Five years after, these are the only classes you remember – and the only ones you want to have again. I thought about OB learnings, which I never thought I would remember, at different times of my post MBA working life. And once I was asked being a speaker at the event for prospective MBA students where my OB professor was presenting a book she was working on, I shifted all my work meetings to fly back to Paris earlier to listen to her. And enjoyed every minute of it. It was just right for me. Another thing I will probably remember once all the advanced financial models fade away is a guest lecture of McKinsey’s CEO Dominic Barton. He talked many interesting points, like the lifestyle of successful people, their health and happiness hacks, something that I have studied for a long time myself, and then he came to the subject of being an interesting person. At some point of his career, when he was already very successful, one of his clients asked Mr Barton: “All this (meaning the analysis his team had made and the presentation materials) is great. But are you an interesting person?” This question caught him off guard (and kept Mr Barton’s INSEAD audience amused and certainly awake). He then told us about how he made sure he was an interesting person, and what impact it made on his professional life, and why we must do it, too. So do the MBA if you want to learn how to dream and to live it. Find what excites you, be it a corporate career or a start up, see what you need to succeed in it and learn it right there – from the faculty and from the people around you. Voice your most audacious ideas, experiment, take risks. And, sometimes, sleep. You will have an experience of a lifetime – an experience that will shape you for all the years ahead of your career and, most importantly, your life. And, for sure, it will make you an interesting person. Well let’s hope that the future value of MBAs even from top universities remain. There are getting to be quite a lot of MBAs out there! You are right (as always :D). I was once sharing a stage with a woman who was one of the very few female participants of Executive MBA some ten years ago. She had tears in her eyes talking about how hard it was to be accepted as a woman in this community. And now not only there are more and more women (which is great), the overall number of MBA and EMBA students is exploding. Yes, that’s true across the globe. Supply seems to be coming onstream faster than demand it seems. Mel gots his only years into working, because it was genuinely useful. But these days, it might take more than the paper to get even an interview! Mel is a star! Where did he go to? Thank you so much for the post! I am just trying to decide whether to do an MBA in the next couple of years or not, and it was very interesting to read your opinion on the matter. Very insightful 🙂 I am 24, have a Masters degree already and currently work in the market research. But – yes – still cannot decide what my dream is and whether it can be found in the corporate field at all. May I ask what is it exactly that you do in tech? Does it have something to do with digital media or is it something entirely different? Hey, happy it was helpful! I would say do it by all means, MBA is a great investment in yourself, as a person as well as in a professional. I work for Microsoft in Sales, for large bank and insurance customers. So nothing to do with digital media (even though the idea is tempting :D). I need to print this post and attach in front of me! This post is just right for me!!! I m curently in process to beat toefl+gmat for J2019 intake. Some years I have this desire to enjoy mba experience, but I was always worried about taking the risk… 100K investment (+infamous opportunity cost) . And you know what? You are completely right, we live only once! PS: So, wish me good luck! Well, that’s just great – and best of luck! 🙂 where are you applying to, which school? Doubts are always there while doing the MBA, and specially depending on the personal context, in my case with a family. But after finishing my MBA from HEC Paris, I share your thoughts that it is worth it, in terms of experience, leverage of new friends/network and the new ideas a diverse environment as an MBA provides. Also, t’s true an MBA would get you closer to a higher paying role and gives you (in general) an easier transition to other regions and job opportunities, which was my case moving from South America to Europe. For those interested I’ve shared some of my MBA experiences in my blog. http://www.timomarquez.com and looking forward to share thoughts.